Did you know your Netgear Nighthawk X10 R9000 router uses a firewall to keep unwanted Internet activity away from your home network. Firewalls do this by blocking all connections to and from the Internet that you have not authorized. In order to authorize a connection you need to create a port forward. 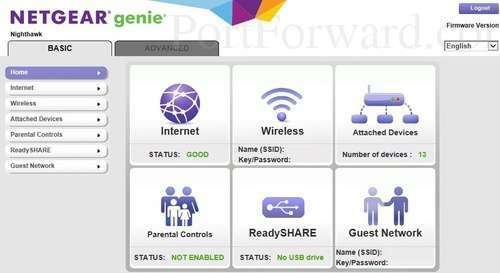 How to create Static IP address on the device you are forwarding these ports to. How to Login to the Netgear Nighthawk X10 R9000 router. How to Navigate to the port forwarding settings. In this step we will show you how to Login to the Netgear Nighthawk X10 R9000 router. First you need to open a web browser to access the web interface. It doesn't matter which browser you decide to use, simply pick your favorite. Some of the more common web browsers are: Chrome, Internet Explorer, Firefox, and Edge. Do you see the address bar in the image above? We have circled it for you in red. All you need to do is replace what is currently in the address bar with the router's IP address. The IP Address is sometimes called the Default Gateway. Of course, if you have changed the router's IP address in the past, you need to enter that value instead. If you don't know what you changed the router's IP address to, then you need to follow the instructions on our How To Find Your Router's IP Address page. If you see a box asking for a username and password then you are in the right place. Once you have entered the username and password in the box, press the OK button to login to the Netgear Nighthawk X10 R9000 router interface. The first thing we recommend you try is other Netgear username/password combos. If you have a slightly different firmware version then the username and password could be a little different. 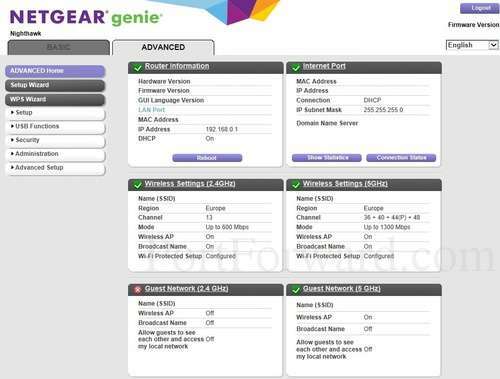 Here is our list of Default Netgear Router Passwords. If you tried that and still cannot login to the Netgear Nighthawk X10 R9000 router it is because you changed it in the past and don't remember what you changed it to. We recommend trying to guess what you changed it to. If you need help with this, use our Find Password App. It locates your password for you by trying thousands of different combinations. Learn more about how this password recovery app works. If you have tried both of the above troubleshooting ideas and still cannot login to the router, it may be time to consider a factory reset. A factory reset erases all your personal settings. Your entire router will need to be reconfigured after this reset is complete. Learn more about this on our How to Reset a Router page. First, click the option of Advanced at the top of the page. Once you see the page above, click the option in the left sidebar labeled Advanced Setup. Then, under that choose the new option of Port Forwarding/Port Triggering. This takes you to the page you see here. Make sure the radio button for Port Forwarding is selected. Next, select the link in the center section of the page labeled Add Custom Service. This brings you to the page where you can make a port forward entry. Make up a name to put in the Service Name box. The name does not have any effect on the functionality of the forward, it's simply there so you can know why it was created. Use the Service Type dropdown box to select the protocol type of the ports you are forwarding. If you are just forwarding a single port number then you can simply enter that same number into both the External Starting Port and the External Ending Port boxes. If you are forwarding a range of ports, usually separated by a hyphen, then you need to enter the lowest number of that range into the External Starting Port box and then enter highest number into the External Ending Port box. Put a checkmark in the Use the same port range for Internal Port checkbox. 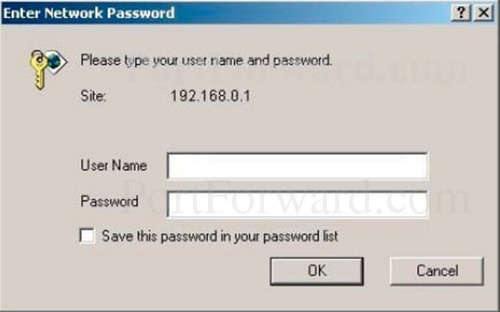 Enter the IP address that you want to forward these ports to in the Internal IP Address box. You can enter either the IP address of your computer or the IP address of another computer or device on your network. When you are finished, be sure to click the green Apply button to save your changes. It is always a good idea to test the ports you forwarded. One way to do this is to use our Open Port Checker. This is part of our free trial version of the Network Utilities. Our Open Port Checker uses a local application on your network to see if those ports are listening. This gives you a guaranteed yes or no. If you have additional questions why not look in our forum. We have a lot of additional information in there to help you. More router specific guides can be found on our site setuprouter.com.